Dr. Ashlee Logan’s world changed forever on a snowy December night in Boston. 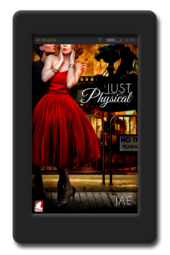 She has spent the last two years on the road, trying to escape the memory of that fateful night. With only her Great Dane, Drake, as her companion, she has worked her way across country from the Atlantic to the Pacific, working as an ER physician along the way. While serving her country, former Navy doctor Dale Parker had her life shattered in a single moment on a hot, windswept desert roadside. Now, three years later, although her physical wounds have healed, Dale is forever changed by the experience. 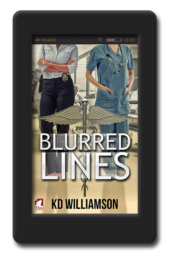 Struggling with her self-image, she has dedicated her second chance at life to helping other wounded veterans. 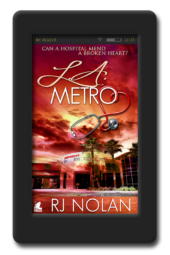 LA Metropolitan Hospital brings the two women together. Drawn together as kindred spirits, neither wants to face the stirring of emotions the other woman invokes. 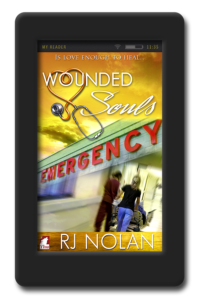 Together can Dale and Logan move past the horrific events of their pasts, or are they forever destined to be…Wounded Souls? Good story. 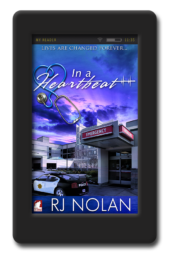 It was difficult to put the book down before reading the end… R.J. Nolan makes me want to read more of her books. I’ve said it before, I love the way R. J. Nolan doesn’t shy away from sensitive issues and how delicately she deals with them. Some of the issues she decides to write about should make her books difficult to read but they don’t, they just make the characters stronger. Very empowering.